The location is Argentina which is located at the southern tip of South America. 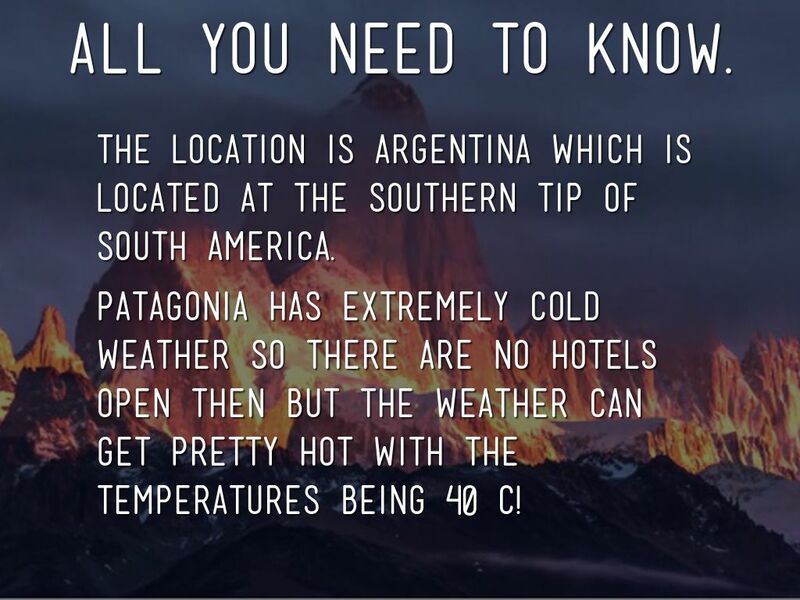 Patagonia has extremely cold weather so there are no hotels open then but the weather can get pretty hot with the temperatures being 40 C! 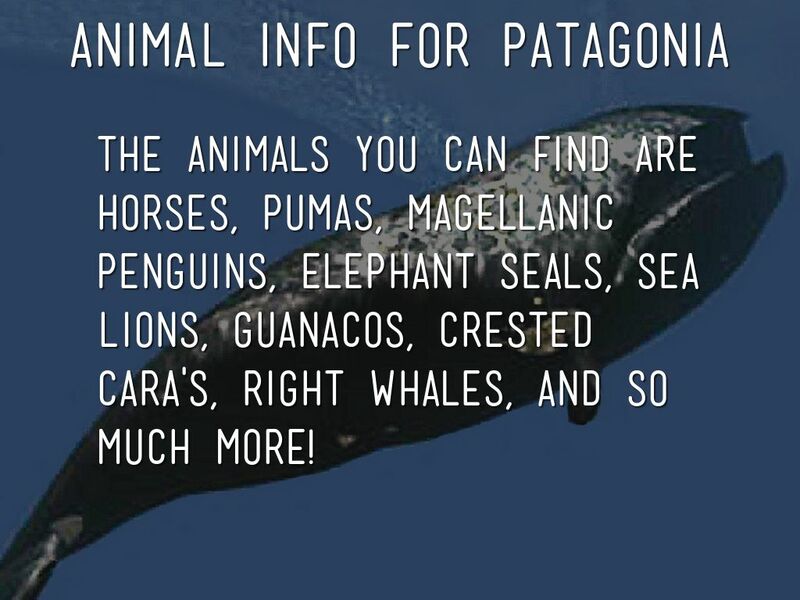 The animals you can find are horses, Pumas, Magellanic Penguins, Elephant Seals, Sea Lions, Guanacos, Crested Cara's, Right Whales, and so much more! 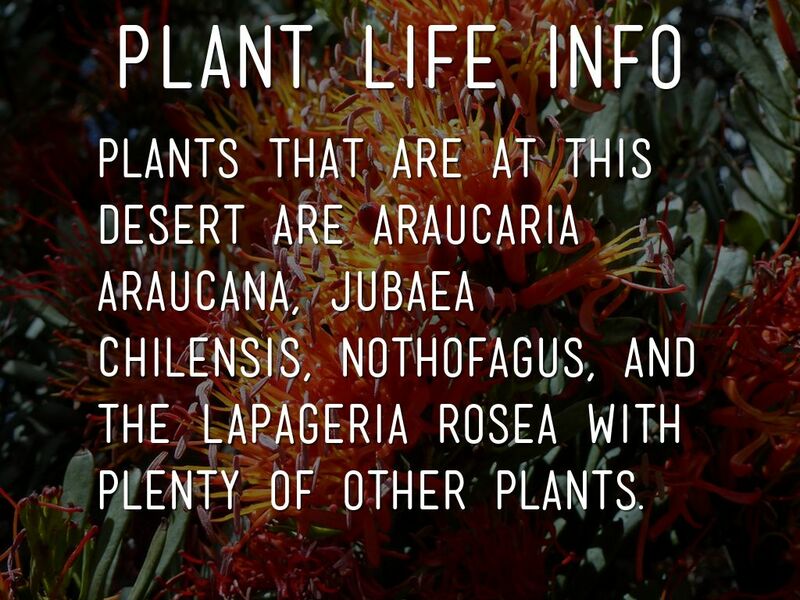 Plants that are at this desert are Araucaria araucana, Jubaea Chilensis, Nothofagus, and the Lapageria Rosea with plenty of other plants. 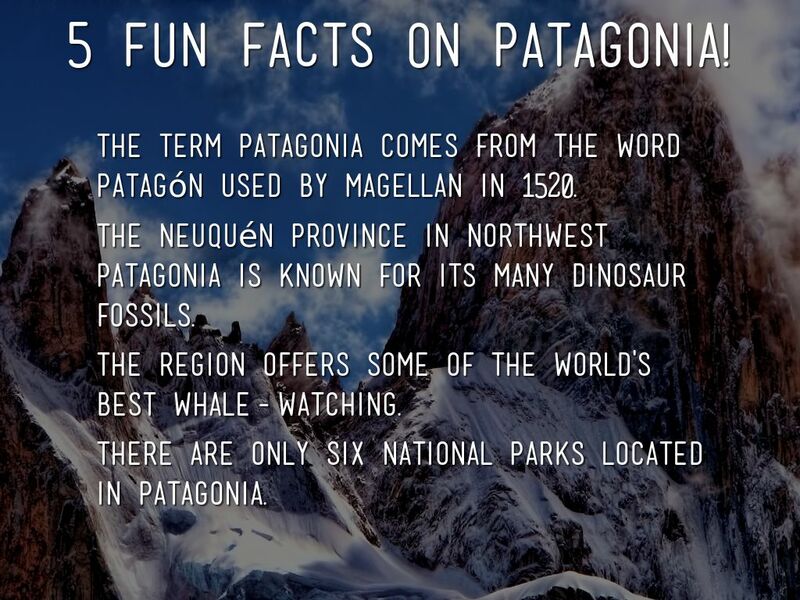 5 FUN FACTS ON PATAGONIA! 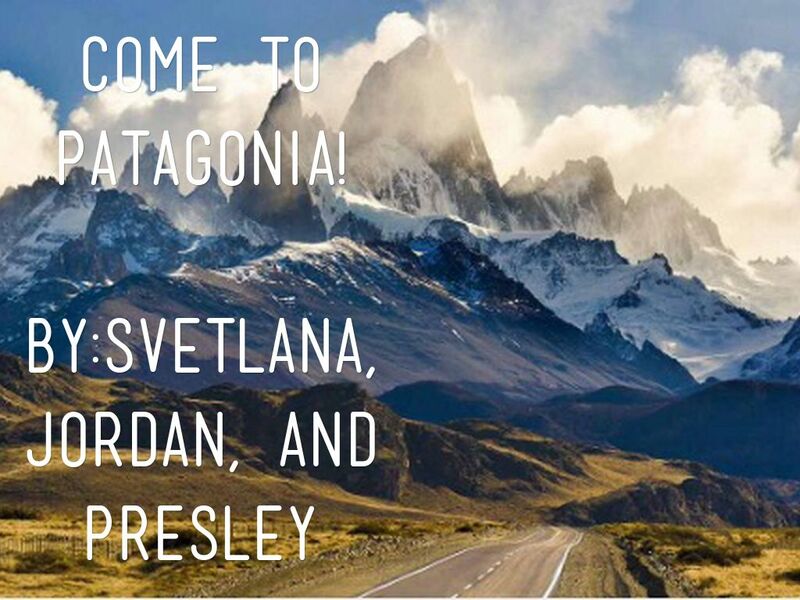 The term Patagonia comes from the word patagón used by Magellan in 1520. The Neuquén Province in northwest Patagonia is known for its many dinosaur fossils. The region offers some of the world's best whale-watching. There are only six national parks located in Patagonia. 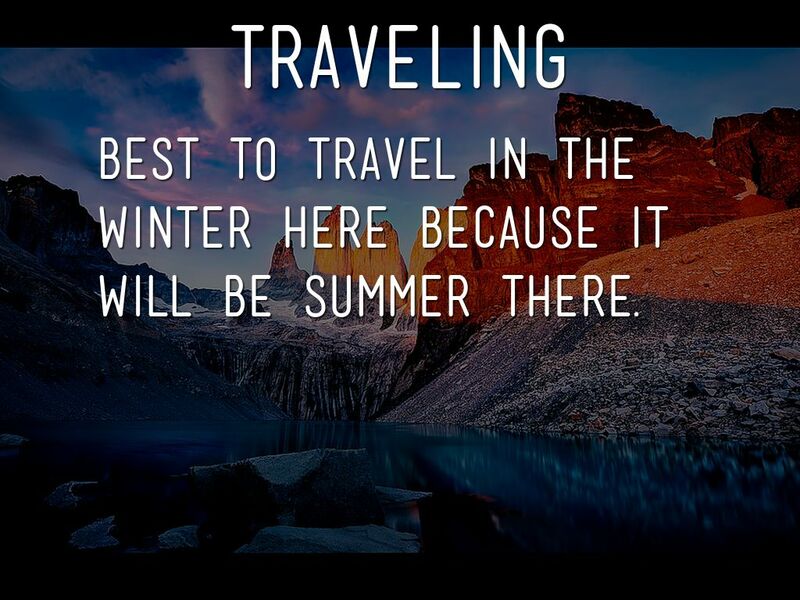 Best to travel in the winter here because it will be summer there. 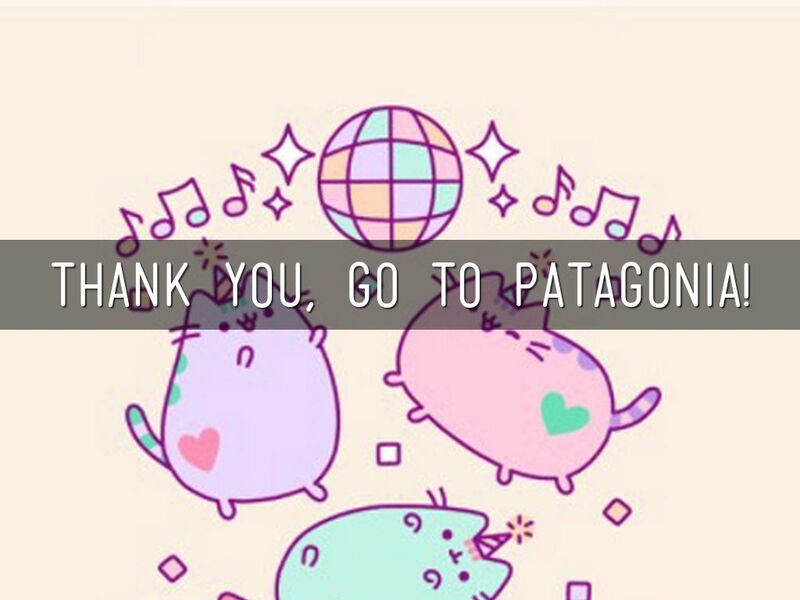 THANK YOU, GO TO PATAGONIA!